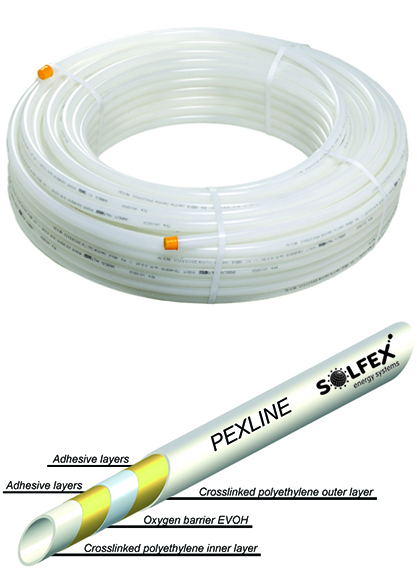 SOLFEX energy systems PEXLINE Underfloor heating pipe is an ultra-high quality, safe & reliable European manufactured product with a service life of 50 years, using the latest manufacturing techniques and industry know how the pipe work is constructed using FIVE layers in total; cross linked polyethylene, adhesive, EVOH gas-diffusion oxygen barrier, adhesive, cross linked polyethylene. 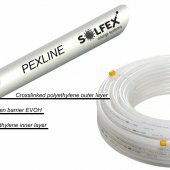 The layers of adhesive bind the two layers of cross linked polyethylene to the central oxygen barrier layer by a thermal reaction; the oxygen barrier layer is right in the centre of the pipe wall which prevents it being damaged from foot traffic during installation. 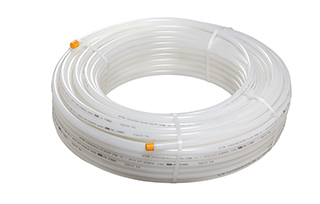 Operational range - 90°C max @ 6 bar, constant temperature 70°C, max peak 100°C. 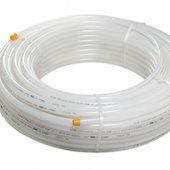 This product does not have any associated downloads.